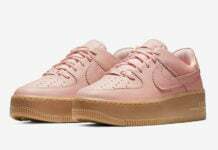 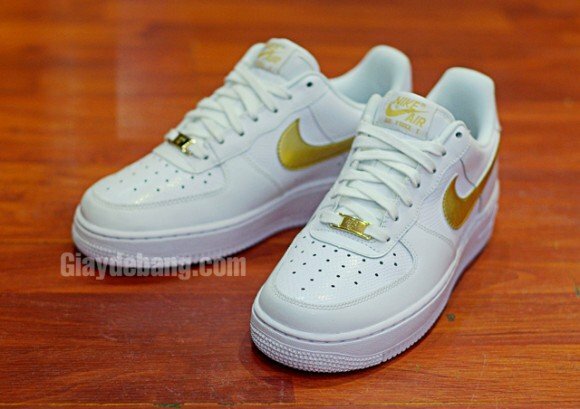 Coming soon from Nike Sportswear is a “Lizard” edition of the Nike Air Force 1 Low. 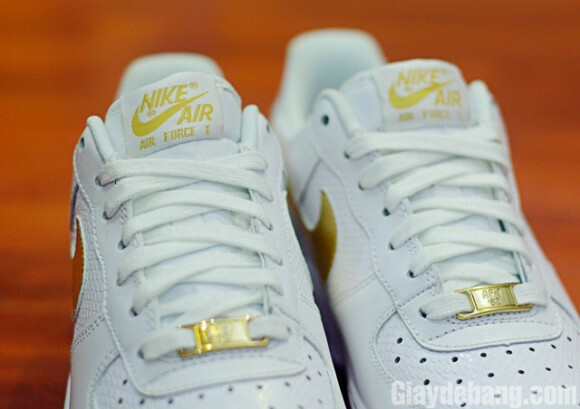 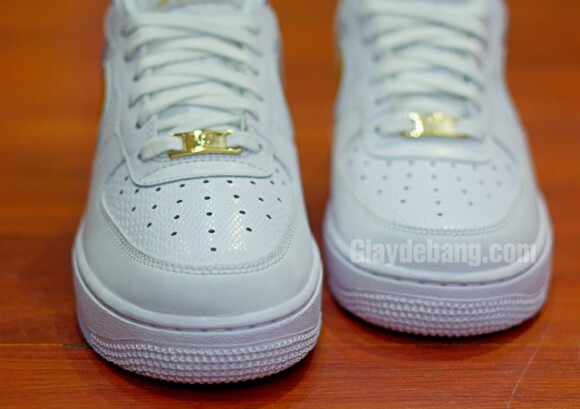 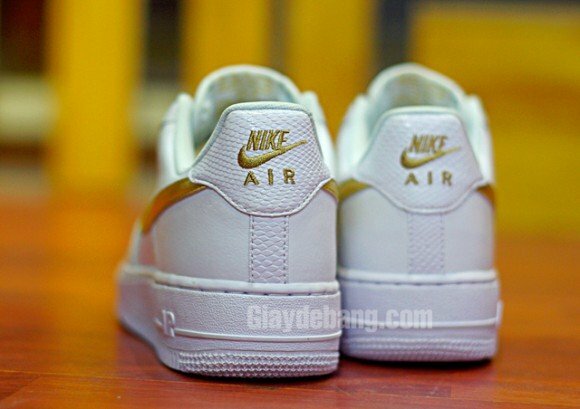 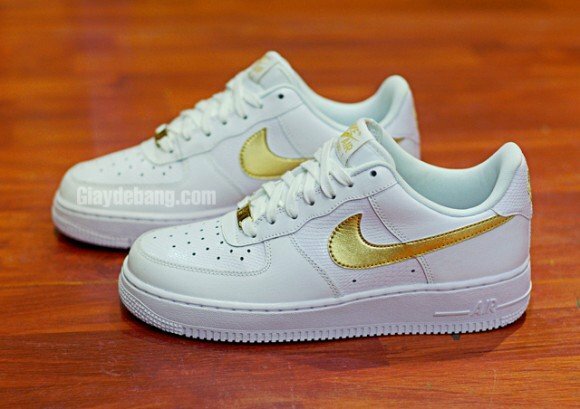 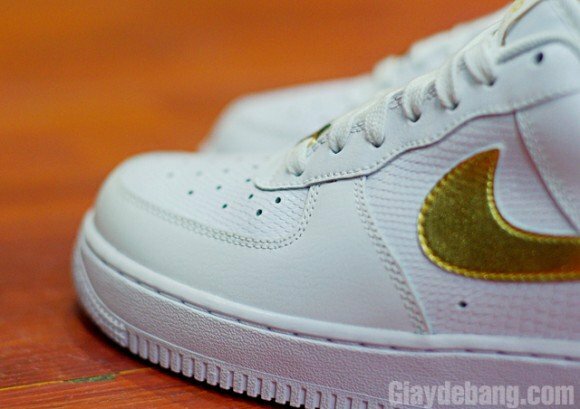 Seen here in a White/Metallic Gold colorway, the kicks see a white upper of smooth and scaly lizard-like leather alongside a matching sole and metallic gold detailing on the Swoosh, footbed branding, lace jewels and embroidered branding on the heel and tongue. 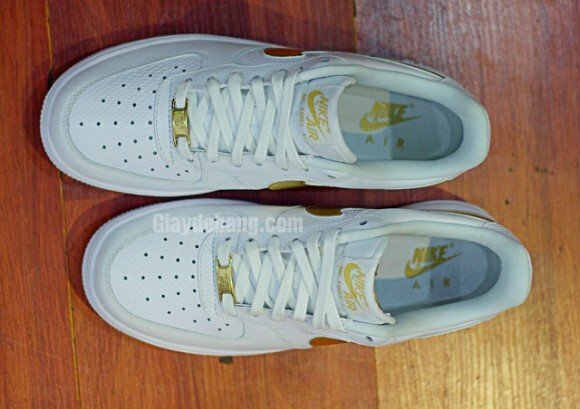 Enjoy this first look at the kicks and stay tuned for release info.